Build Quality (9.5/10): The Xiaomi Mi Headphones are quite unique in that they can be converted from supraaural (on-ear) to circumaural (over-ear) by simply swapping between the two sets of factory-supplied earpads, which twist to lock in place. The earcups are machined aluminum with metal mesh grilles, and have a decidedly Grado-like aesthetic – except that metal Grados cost upwards of $250. The earpads are of excellent quality and there is ample padding on the headband as well. Hinges below the headband allow the Mi Headphones to collapse for storage and transport. The cord is detachable, but dual-sided, with a recessed 2.5mm connector on each earcup. It is well-made – TPE above the y-split and nylon-sheathed below. The y-split is also where the microphone and single-button remote control are located. One minor issue I found is that during active use, the cloth-covered bottom portion of the cable carries microphonics (cable noise) into the microphone, which can affect voice transmission quality for the other party. On the whole, the Mi Headphones are well-made all around – many of the parts are metal, and those that aren’t are made of heavy plastics, giving the headphones a very solid feel. What impressed me even more, though, is the superb attention to detail – for instance, the cable connectors have raised L/R markings, but there’s also color-coding on both the connectors and their jackets, as well as the corresponding jacks on the headphones. The inclusion of both a hard zippered case and soft pouch is welcome, too. Comfort (8.5/10): The soft padding on the earcups and headband, together with moderate clamping force and pivoting earcups, make the Mi Headphones comfortable for hours in on-ear mode – more so than, for instance, the V-Moda M-80 or Sennheiser HD25. The over-ear pads are large enough to be fully circumaural, but may be a touch shallow for large ears. Still, for a portable headphone, they are among the best I’ve tried. 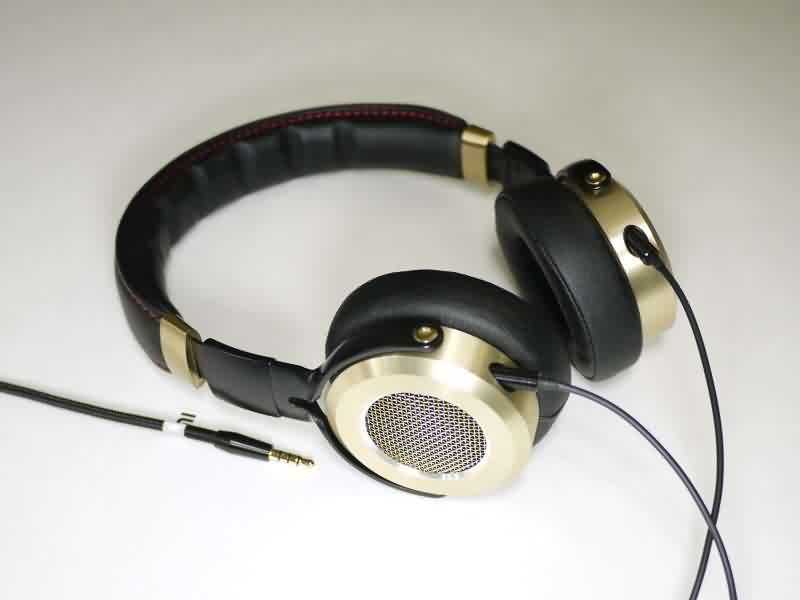 Isolation (7/10): The Mi Headphones are designed to look like open headphones, but the grilles are largely decorative. Inside, the earcups are heavily damped and more akin to semi-open – or maybe even closed – headphones. Combined with the soft, well-sealing on-ear pads, this leads to very decent noise isolation and low leakage. They may not be the perfect set to use at the library, but for everyday applications they are equivalent to small closed-back headphones. Sound (7.5/10): The two different pad options of the Mi Headphones change more than just the fit and look of the headphones – swapping the pads also changes the sound pretty drastically. The on-ear pads have a bassier sound with a more pronounced “v-shape”, meaning the bass and treble sound elevated compared to the midrange. This tuning is punchy and fun, and easily competes with consumer-class on-ears like the original Beats by Dre Solo and the Monster DNA On-Ear. The over-ear pads provide a less bassy sound, reducing both impact and depth compared to the on-ear configuration. Bass bloat is also diminished slightly. Perhaps the over-ear option was tuned for less bass on purpose, in order to compete with more balanced, higher-end full-size headphones. In any case, the lower bass emphasis draws more attention to the forward upper mids and prominent lower treble of the Mi Headphones, so the over-ear tuning ends up sounding like a more neutral Monster DNA PRO – not that the $280 Monster flagship is poor company for Xiaomi’s freshman headphone effort. The v-shaped sound signature of the Mi Headphones means they have more bass punch and power compared to flat/reference sets. For instance, there is more of both depth and impact compared to the Sennheiser HD428 and HD429 (much more with the Mi Headphones in on-ear mode). It’s definitely not a basshead level of slam and rumble, but casual listeners won’t be left wanting for bass. The punchy bass of the Mi Headphones gives them a warmer tone and more full-bodied sound compared to sets like the Sennhesier HD428, but also a little less clarity. The mids of the HD428 – and other flatter headphones – seem more forward in comparison, thanks to lack of bass and treble emphasis. Clarity is similar to the V-Moda M-80, though the M-80 is even warmer, smoother, and more forgiving (significantly more expensive, too). In over-ear mode, the Mi Headphones lose some of that warmth as the upper midrange/lower treble emphasis becomes more audible. At the top, the Mi Headphones can be a tiny bit harsh, especially compared to notably smooth-sounding sets such as the M-80. Even the similarly-priced HD429 can sound more refined, albeit less lively and dynamic. However, the treble energy does help the Mi Headphones maintain a solid all-around presentation for an on-ear portable headphone – neither too forward nor too laid-back, and no more congested than the M-80. Note: normally I try to avoid IEM vs headphone comparisons, but as the Piston 2 is one of my recommended IEMs, this one was unavoidable. There’s no denying that the Piston 2 is a bass-heavy earphone. Even in their bassier on-ear configuration, the Mi Headphones are more balanced, with bass that is less intrusive and more controlled. The Piston 2 does have slightly better bass depth as a result of its more powerful low end, but the Mi Headphones are not at all lacking in punch. A slightly greater amount of upper midrange lift on the Piston 2 helps maintain its clarity despite its more bloated bass. Overall, the two Xiaomi models aren’t vastly different – both pursue v-shaped sound signatures with punchy bass and prominent treble – but the shallower bass and cooler overall tone of the Mi on-ear do result in substantially different voicing for the on-ear model. I wanted to compare the new Xiaomi to one of the few portable, supraaural, open-back headphones still on the market, and the $70 PX100-II was the closest in price I could get my hands on. While the Mi Headphones turned out to not be nearly as open-backed as they look, the Sennheiser unit still made for an interesting comparison. The PX100-II offers up less bass than the Xiaomi (in the on-ear configuration) and lacks a little in the way of dynamics. The Mi is more v-shaped, with a more powerful – but also slightly more boomy – low end. It is also brighter and clearer, with more energetic and crisp treble, resulting in a more exciting and lively sound. The PX100-II tends to be more forward in the midrange, and yet surprisingly is not any clearer or more intelligible. It is smoother, however. The presentation of the Sennheiser unit is a little more laid-back, but, thanks in part to the darker tone, not any more airy or spacious. This pricier, closed-back on-ear model from Sennheiser made for a much better sound signature match for the Xiaomi than the PX100-II. The HD25 and Mi Headphones (in on-ear mode) both follow v-shaped signatures with punchy but relatively well-controlled (slightly more so on the HD25) bass and relatively bright upper mids and treble. The Mi does have more bass and a warmer overall tone, trading off some clarity, while the HD25 is less muffled despite its recessed midrange. The Sennheiser unit also boasts a similar-sized but slightly more convincing soundstage and sounds more crisp and refined than the Xiaomi – but not to the extent one may expect for a two-fold price increase. Monster’s full-size DNA Pro was the only headphone I found that made for a good match for the Mi Headphones in their over-ear configuration. It is a bright headphone, notable for its forward upper midrange. The Mi Headphones have less presence there, but follow a similar tuning scheme and have similar voicing. The Mi over-ear has slightly more boosted bass, which gives it a warmer – and arguably more neutral – tone but also sacrifices a bit of clarity. The bass of the DNA Pro is noticeably less powerful, but also tighter, and the brighter Monster unit sounds more analytical on the whole. Value (8.5/10): The Xiaomi Mi Headphones – the company’s first non-in-ear headphone release – succeed in offering very solid value for money. The sound is punchy and energetic, and changes (mostly in amount of bass boost) between the on-ear and over-ear pads. What impressed me more than the solid performance, however, is the superb design and construction. Whatever they may lack in absolute sonic bang/buck compared to the company’s sub-$20 Piston 2 in-ears, the Mi Headphones make up for with a combination of features unique to their price point, including the convertible on/over-ear design, headset functionality, extensive accessory pack, detachable cables, and outstanding build quality. How it is compared to philips shp9500? I need a purches dicession. Sorry, never tried the SHP9500. One of the purpose of using headphones is to also not disturb others with what I am hearing. But this headphones seem to also give out sound on the outside. Issit possible to prevent that? Or was it made to be such? A side by side review/comparison with Meizu HD50 would be very interesting. There is people interested and no info out there at the moment. Nice list! I go for the new xiaomi piston 3. They are low cost and have good performance. Hi, really good review. Are looking for a pair of really good headphones around $150, and right now it’s between ath-m50 or these. What do you think, i love the variety of the xiaomi headphones but maybe the m50 sounds a lot better so the trade-off isn’t woth it. What do you think? I would go with the M50 if you don’t mind its larger size. It’s a more accurate and natural-sounding headphone, and there’s really no reason to get the Mi headphones over it unless you don’t like the size/appearance/form factor of the M50 or need the slightly heavier bass of the Xiaomi. 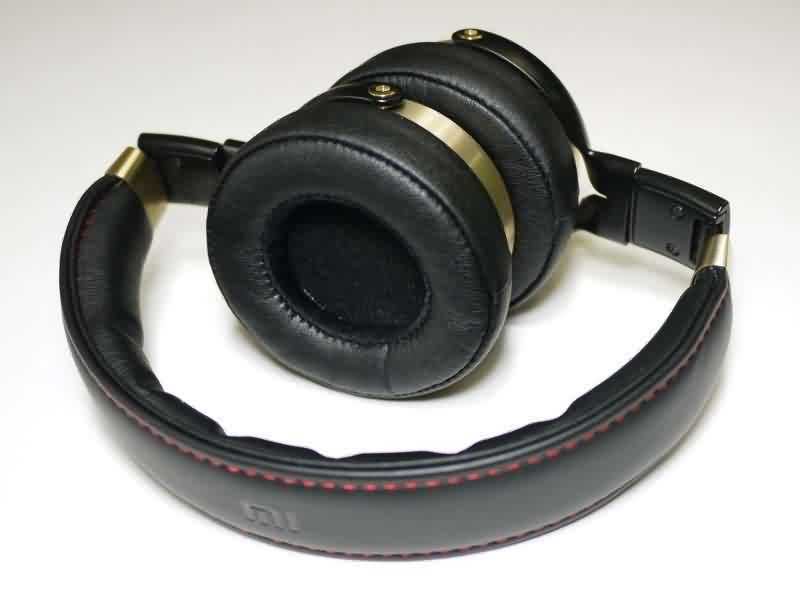 Hi Jocker, How do Mi headphones (over ear ) compare to Philips Fidelil L2 semi open headphones. Thank you. I’ve only tried the L2 briefly and I really liked it. Obviously can’t provide an in-depth comparison between the Mi and L2 based on a brief demo but I would be surprised if the L2 doesn’t outperform the Mi headphones, especially when it comes to soundstaging and overall refinement. It’s also 2x the price. I love the neutral headphones, though a bit bass is not a big issue. I am deciding between Mi head phones & Ath-M50x-dg. The diff bw both is $70 more for Ath- m50. I love modular approach of Mi. But Audio technica has a good history. Which should I go for.. please assist. The M50x will be the more neutral headphone – if that’s what you’re into I’d definitely spend the extra $50. Hey joker, you have the best reviews around..exceptionally helpful.!! I have the Mi4 phone, n love Mi brand since then. 200$ u get sd 801 processor, 3GB ram, cam better than my iphone 5s ( yep but not in low light). 1). Mi headphones have 50mm beryllium drivers, which are better Neodymium or Beryllium once in general. 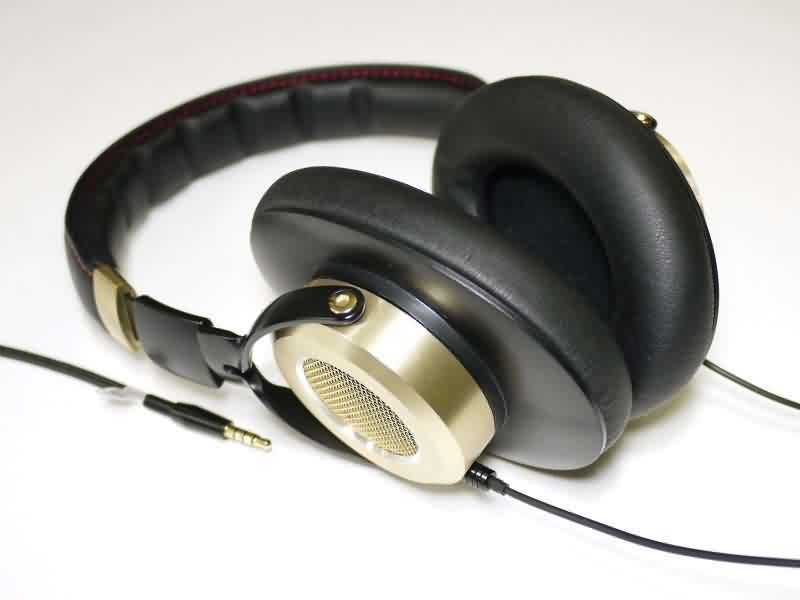 2).ATH m50 are my favourite, I came accross these Philips SHL3300 dj 18-25k hz headphones, they were unbelievable at a cost of $30 in my country, they posses to be most price to woth buy.What are your opinoin on them..?? Please check hem out once. Thank you. 1) I don’t have the engineering experience or enough data points when it comes to Beryllium diaphragms to make a claim either way. And if someone else did I probably wouldn’t pay it any mind – there’s more to a headphone’s sound than the driver materials and I tend to only care about the overall performance. 2) Sorry, never heard of the SHL3300. I wouldn’t pay any attention to specifications, though – there’s no common standard for manufacturers to report specs so you can’t really compare them between brands. JVC and Sony, for instance, often have wild frequency response claims. Audio-Technica, on the other hand, tends to be more conservative. I like the bass of my my current headphones, i usually listen “Iron maiden” (heavy metal) and soundtracks game/movies (orchestral) with a Sony Xperia z3 compact and flac tracks. i really excited for test this xiaomi :D, recommendation for a heavy metal fan? Hi, was browsing the web for reviews on Xiaomi’s headset when I stumbled upon your site. Unfortunately I haven’t had too much experience with the Momentum On-Ears. I’ve tried them a couple of times briefly but it was always alongside the over-ear Momentum model which I liked better and which got a lot more eartime. The over-ears offer a smoother, warmer sound than the more v-shaped Xiaomis. I’d rate them higher when it comes to natural and balanced sound, but they are also a lot more expensive and I’m not sure that translates to the on-ear Momentums. Sorry, no experience with any wireless sol republic sets. I’ve tried only their wired in-ears, which were mediocre at best. Hi Joker. Thank you for your reviews. Was thinking of buying a pair of headphones and how does the xiaomi headphone compare with Creative Aurvana Live 2? The Creative Aurvana Live! 2 is a very bass-heavy headphone. Even in on-ear mode the Mi headphones are not nearly as bassy – they have pretty impactful bass but the overall signature is more of a balanced v-shape (some emphasis on both bass and treble). This is a very different signature compared to the decidedly tilted (in favor of bass) sound of the Creatives. If you use the Mi headphones in over-ear mode they’ll be even brighter and less bassy than in on-ear mode, and generally a poor alternative to the CAL!2 if you want lots of bass and warmth. Hi Joker.. Recently Xiaomi has also announced Mi in-ear earphones (different from piston 2). You have any idea how they sound? No, the only ones I have are the Piston 1, Piston 2, Piston 3, and the Duomi Crystal (basically a Piston 2 with Swarovski Crystals in the back). Ohh..didn’t know you already reviewed piston 3. Excellent job with the review. Btw, I got mine just today. They still sound bassy to me. Some reviews said they need a burn in to settle the bass. I don’t believe in burn in. What do you say? I’m not big on burn-in either but I do believe in “brain burn-in” (i.e. getting used to a sound signature given time with it). Objectively, the Piston 3 doesn’t have flat bass in the way an Etymotic earphone would – there’s still some added punch in the bass region. Just less of it compared to the Piston 2 and especially the Piston (1). I Have been a fan of your review since forever. You have been a great help in helping me deciding to spend my money on headphone and earphone. Do you think it is worth it ? I think this would really depend on whether you normally favor headphones or earphones, both for sound/presentation and in general. That’s be a big part of it anyway, as the Pistons and Mi on-ears are both very capable. I like in-ears, so (with that price gap) I’d go for the Piston 2. But, I know many people favor on- or over-ears to earphones, in which case the Mi headphone is as versatile as it gets and would likely be worth the extra $$. Nice informative review. Especially hot topic now when Xiaomi has opened their stores in US and Europe…. Would be interesting to see how these compare with other Chinese domestic reference headphones, around this pricepoint like the Edifier 850 (about 300RMB). Those are over-ear and (I think) light to neutral on bass. I have a bit of experience with the Chinese domestic IEM market but almost none with headphones except for these and some Astrotec models. I’m sure there’s more than a few noteworthy sets. Hello and thanks for this detailed review. I follow your thread on the Head-Fi closely and highly value your work/opinion. I was considering purchasing V-Moda XS (updated version of M80s) for their build, sound and compact size. Did see/read your review of the M80, but was hoping you can comment how much better the XS over the Mi headphones (possibly based on your experience with M80s). Thanks for any input you can provide. Don’t have any experience with the XS but I can tell you how the M80 compares to the Mi headphones – it is warmer, slightly clearer, smoother, more refined, and more forgiving of harshness/sibilance. Bass quantity and quality are pretty similar to the Mi headphones (in on-ear mode) but the mids on the Mi sound a little less full and it’s harsher overall. I guess I am going for XS then, as soon as I see it for $100 or so. Any other options I should consider? For on-ears in that price range, none than I can think of. But there’s many I haven’t tried. How does it compare it sennheiser momentum on ear? I don’t have a pair of those but I’ve heard them briefly at a show. I thought they sounded good, but not as good as the over-ear. If I had to make an educated guess I’d say they are about on-par in terms of performance, but with a slightly smoother/less v-shaped sound signature than the on-ear Mi headphones. For those who want to buy Xiao mi’s headphone,I would warn you of my unpleasant experience. It’s Xiao mi’s deceptive advertisement that spurs me to cost 500 yuan to buy the headphone, but later found great defectiveness. And it’s definitely not worth that much comparing with my AKG420,which sounds better and cost no more than 160 yuan. The problem is that the two phones sound obviously different.The left one is low ,while the right one is high.What’s worse, the microphone (speaker ) is hot enough to burn the skin while working . What makes me even furious is that Xiao mi’s service team repeatedly call me to claim no problem with the headphone, totally ignoring the defectiveness,and don’t listen to and care for my complaint . I cannot accept Xiao mi’s arrogance and tardiness in dealing with my complaint.Can Xiao mi put forward a third party’s examining report or send me a serviceman to find who is lying?Otherwise ,refund my money ASAP! I got my headphones from iBuyGou. I was a little annoyed with Xiaomi to announce so long before availability, but luckily iBuyGou got them in stock before others so I have now had some weeks experience with them. I can join your opinion: I really love them, and am surprised that this quality is possible at the price point. The way I mainly use my headphones are to create my “bubble” on the train or airplane. This means that I treat them quite badly. So I am always torn between spending a lot for good sound quality and spending little because they will break anyway. In the past I have also had some noise cancelling headphones (expensive), so I was also concerned that the Xiaomi would let in too much noise. The experience on a two and a half hour train ride was magical. I listened to classical music and to iTunes episodes, and was completely absorbed. Both the comfort was good, and the hearing experience, which felt “light”. Honestly I don’t know the word to describe a listening experience. But I do notice with other models (Marshall, Urban Ears) that I develop a beginning of a headache after an hour or so, and with pistons I feel somehow cramped. Oddly, with active noise cancellation headphones I feel a buzz in my ear. So this pair is a real relief unlike I’ve experienced before in the price category that I shop in. And at the price, I am not too concerned if they get banged around a bit. I carry them in the soft pouch and squeeze them into my overstuffed bag, the case is too bulky for my use. So far they have held up admirably to my abuse! can u calculate the cost too in comparation? The D1100 is significantly bassier. If you want a big basshead headphone, the D1100 is better. If you want something more compact, and with a more even-handed / v-shaped sound, the Xiaomi is better. Cost wouldn’t even factor into it for me (unless you can only afford one and not the other, of course) because they are so different. Nice review. How does it compare with ATH M50? The M50 is less colored/more neutral. If you keep the Xiaomi in over-ear mode it will have similar bass quantity (but slightly less tight) and an upper midrange boost that the M50 doesn’t really have. In on-ear mode the Xiaomi will have more bass quantity, but will sacrifice more bass quality compared to the M50. Hello, Joker. Where can i find a review of the M50 here on your site? and will you review the Philips Citiscape Uptown one day? I haven’t seen the Philips Citiscape line at any of the shows recently (they’ve been focusing on the newer Fidelios) but if they keep making them maybe I’ll get to try them eventually. The HD668B is the only one I have experience with, and that’s more of a full-size studio headphone. It tends to be more on the clear and analytical side – instead of the enhanced bass punch and slightly v-shaped sound of the Mi over-ear you get less bass quantity and a more flat and neutral sound through the midrange and treble.